* More than 5 million 12-to-17 year olds (20 percent) can buy marijuana in a hour or less; another 5 million (19 percent) can buy marijuana within a day. * The proportion of teens that consider beer easier to buy than cigarettes or marijuana is up 80 percent from 2000 (18 percent vs. 10 percent). * For the first time in the survey's eight-year history, teens are as concerned about social and academic pressures as they are about drugs. * Teens at schools with more than 1,200 students are twice as likely as teens at schools with less than 800 students to be at high risk of substance abuse (25 percent vs. 12 percent). Two of the most common questions regarding teen drug use and addiction are: how can it happen to my child, and how can it happen to young boys or girls who seem to be typical teens? These questions are often asked when the drug-abusing teen does not exhibit one of the usual warning signs of drug abuse such as being physically or sexually abused, having a learning disability or eating disorder, suffering from serious depression, or another mental health condition. Statistics on Teen Drug Use: 10% of teens say that they have been to a rave and ecstasy was available at more than two-thirds of these raves. Statistics on Teen Drug Use: 28% of teens know a friend or classmate who has used ecstasy, with 17% knowing more than one user. Statistics on Teen Drug Use: 40% of those who started drinking at age 14 or younger later developed alcohol dependence, compared with 10% of those who began drinking at age 20 or older. Statistics on Teen Drug Use: 50% of high school seniors report drinking alcohol in the past 30 days with 32% report being drunk at least once in the same period. Statistics on Teen Drug Use: 65% of the youth who drink alcohol report that they get the alcohol they drink from family and friends. Statistics on Teen Drug Use: Alcohol is the most commonly used drug among young people. Statistics on Teen Drug Use: Alcohol kills 6½ times more youth than all other illicit drugs combined. Statistics on Teen Drug Use: Although it is illegal to sell and distribute tobacco products to youth under age 18, most underage smokers are able to buy tobacco products. Statistics on Teen Drug Use: By the 8th grade, 52% of adolescents have consumed alcohol, 41% have smoked cigarettes, and 20% have used marijuana. 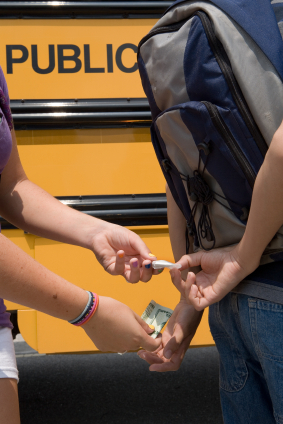 Statistics on Teen Drug Use: In 2000, more than 60% of teens said drugs were used, kept, or sold at their school. Statistics on Teen Drug Use: Most people begin smoking as adolescents. Among youths who smoke, the average age of initiation is 12.5 years of age. Statistics on Teen Drug Use: Teenagers whose parents talk to them regularly about the dangers of drugs are 42% less likely to use drugs than those whose parents don't, yet only 1 in 4 teens reports having these conversations. Statistics on Teen Drug Use: Traffic crashes are the greatest single cause of death for all persons age 6–33. About 45% of these fatalities are alcohol-related crashes. Statistics on Teen Drug Use: Underage drinking costs the U.S. more than $58 billion every year – enough to buy every public school student a state-of-the-art computer. Statistics on Teen Drug Use: Youth who drink alcohol are 50 times more likely to use cocaine than young people who never drink alcohol.